Home All Articles Fantasy Grand Prix 2015 is GO! The time is now folks! 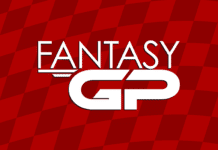 The 2015 Fantasy Grand Prix season is here! Get involved with the Formula 1 season, from your sofa. Fantasy GP is our very own online game where you create your own team of cars and drivers and compete against thousands of other fans from across the world. 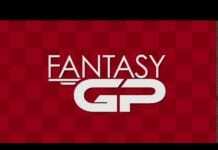 Simply head over to Fantasy GP, login and create your team. For each race you can make predictions and score bonus points too. As well as playing against the rest of the world of F1 fans, you can also create your own mini Friends Leagues to play against family, colleagues, Twitter followers or indeed, friends. Why wouldn’t you!? It’s free, easy to play, tricky to win but most of all adds as whole new level of fun to watching a Grand Prix. Even a snooze-fest like the Russian GP can become fun when you have vested interest in particular cars and drivers. You may even find yourself cheering on Pastor Maldonado too, yes, really. Drivers score points for out-qualifying their team mate! New for 2015 is the PRO Membership where if you become a PRO or CHAMPION Badger GP Member, you get even more out of Fantasy GP. For just £10 it’s a bargain! Also special one-off spot prizes for some races too.